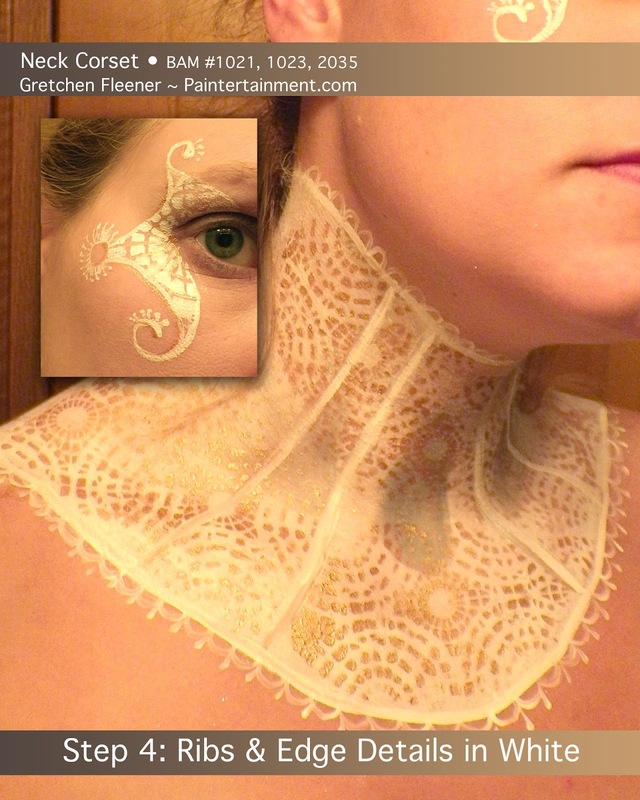 In hindsight if I did this again, I'd scrap the gray shading on the contours of the neck. That didn't turn out how I had hoped. 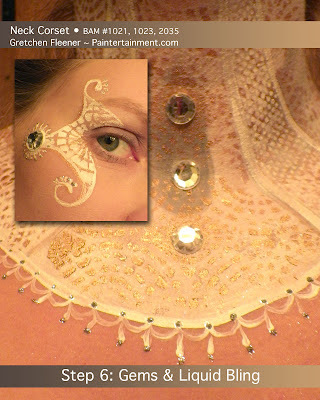 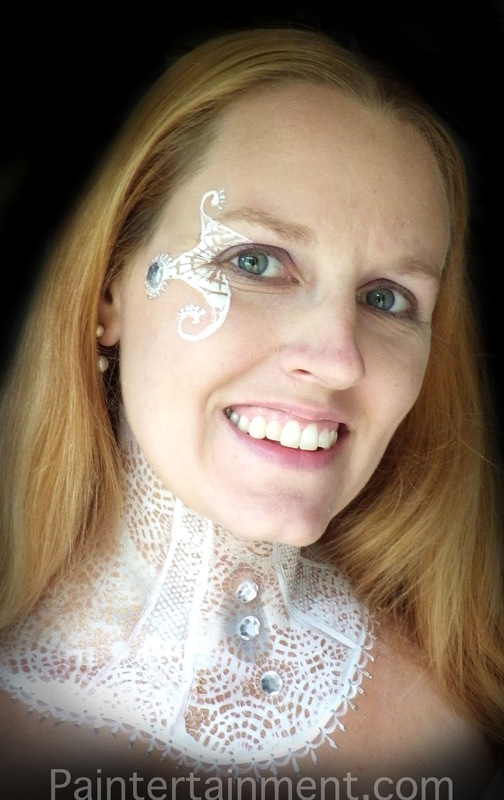 But, it was really fun to bling it out with some liquid bling, Mehron glitter spray, and gems held on with eyelash adhesive! 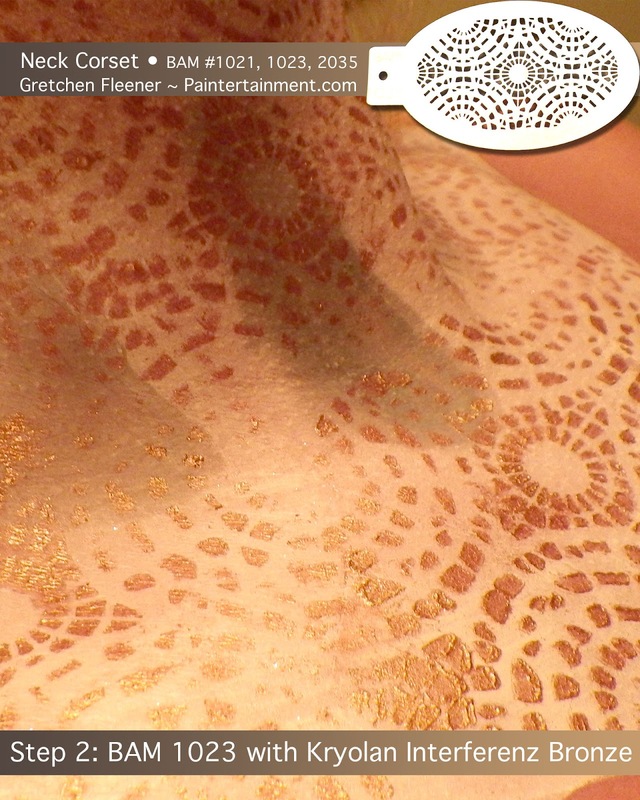 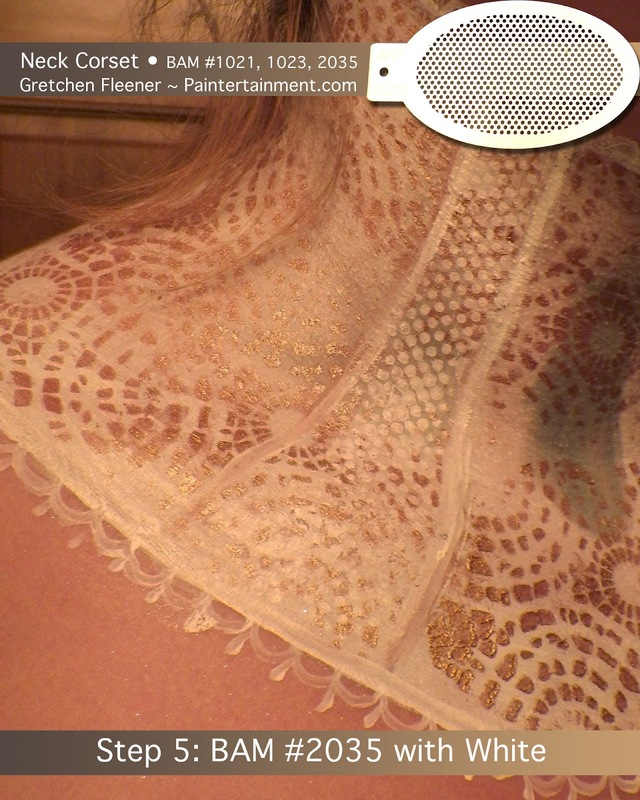 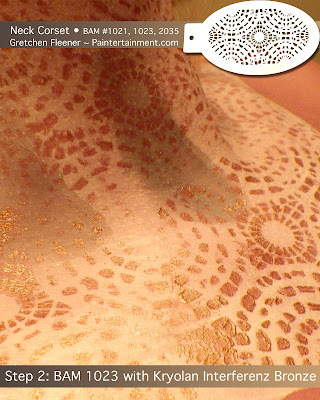 Fun with BAM Stencil #1010: Palm Leaf! Here's A little step-by-step for you that uses the BAM stencil #1010, available in the BAM Complete Set. 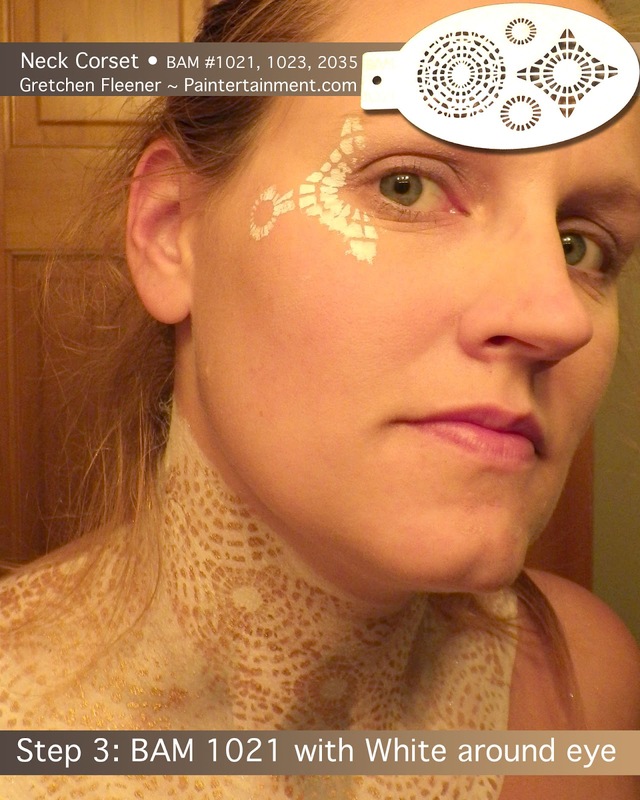 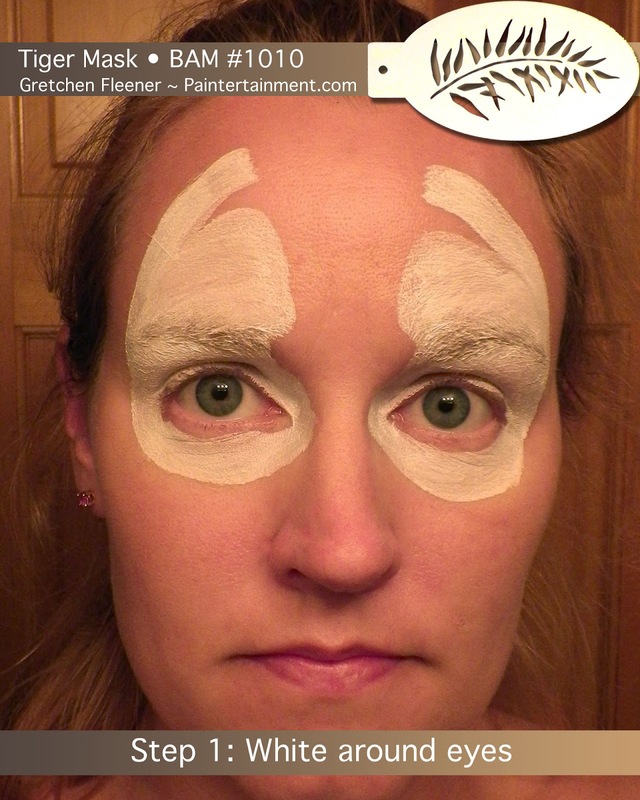 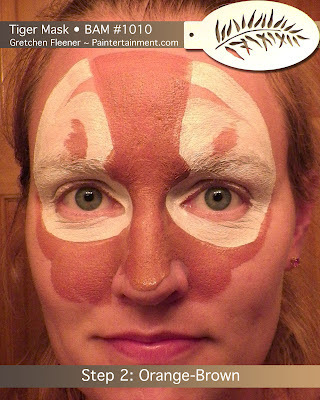 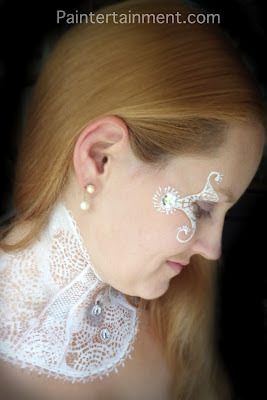 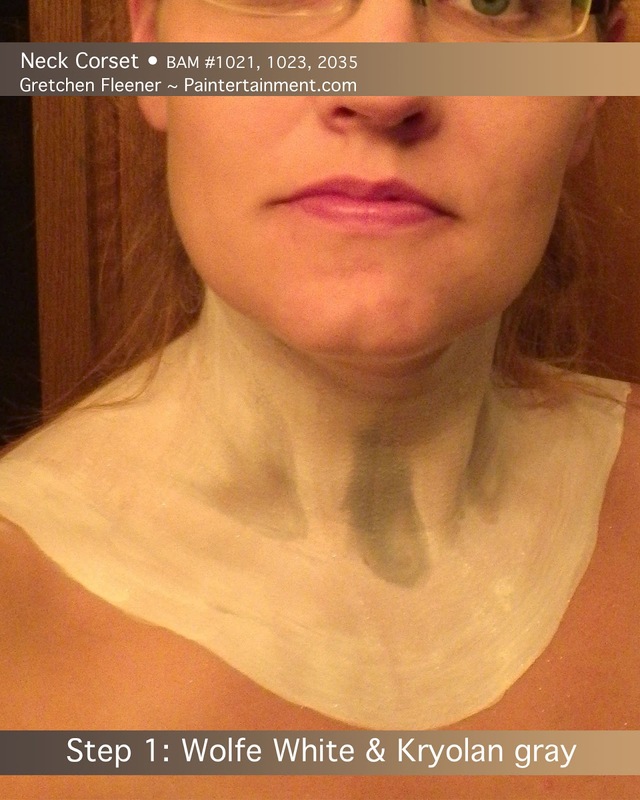 I actually did this as an entry in the Face Paint Forum's BAM stencil contest...you can check out the contest details here! 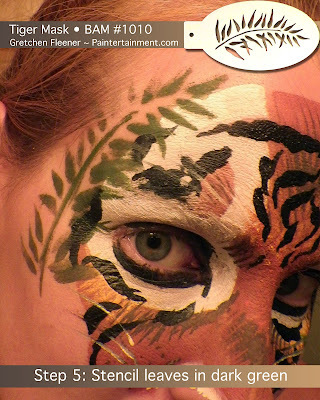 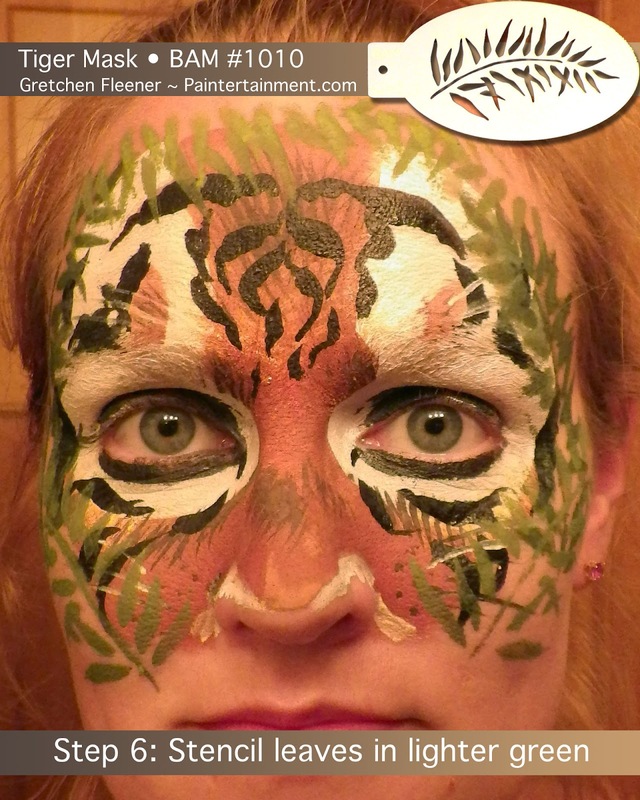 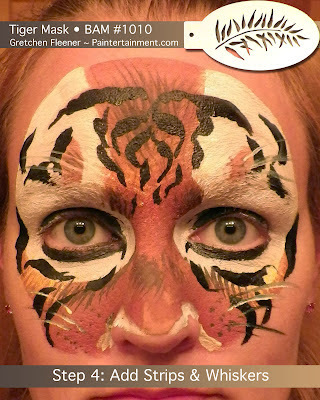 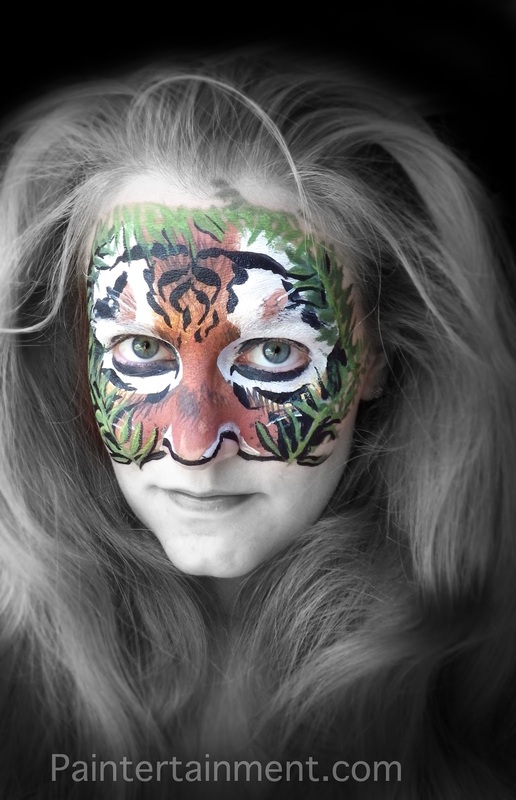 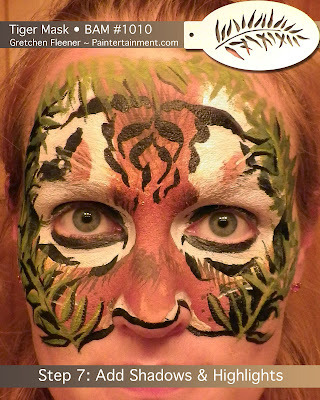 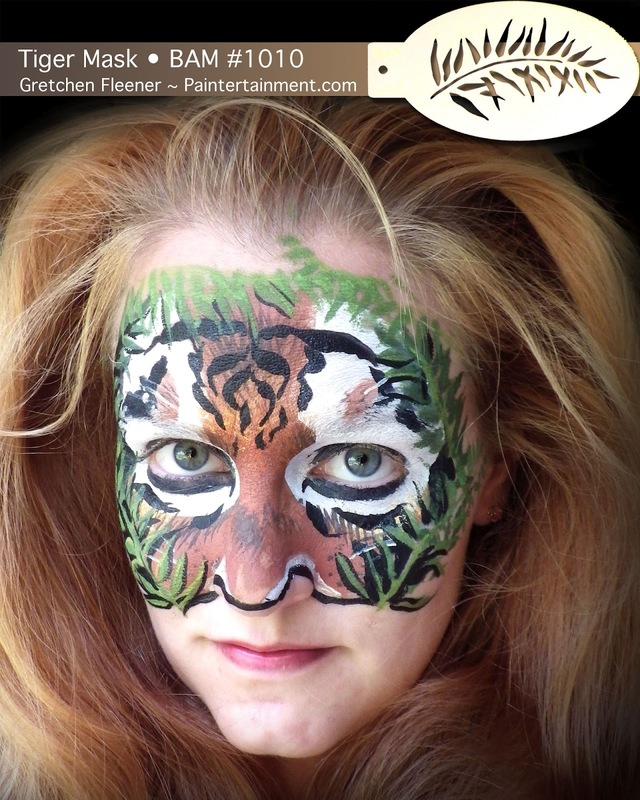 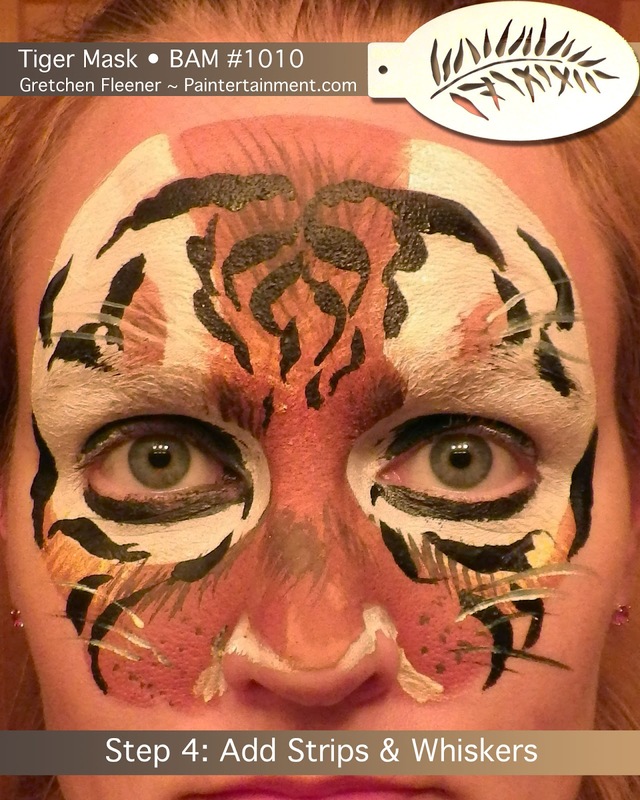 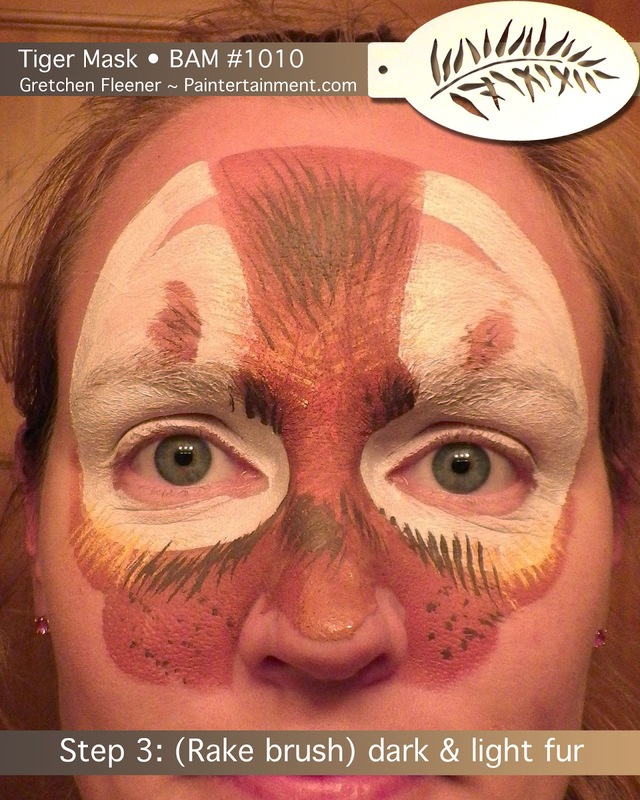 The thought here was to create a mask that looks like a tiger peeking through the jungle foliage.